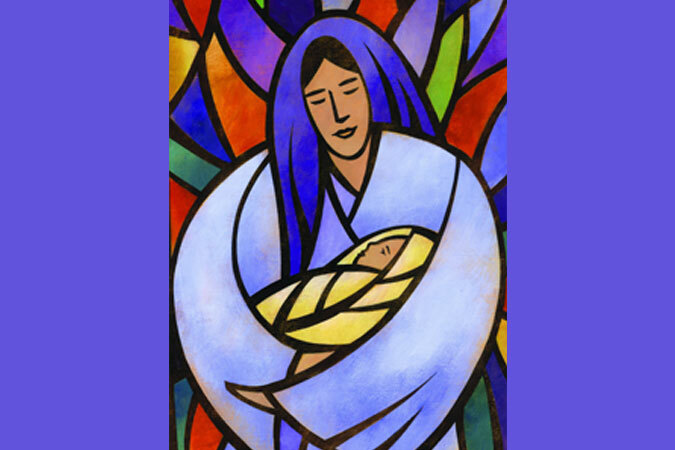 Lord, give me Mary’s confidence and generosity of spirit. I ask not only to listen to your voice and do your will but also to do these things joyfully and fearlessly. Let me answer your call with an exultant “Yes!” because I know that my journey into the unknown will be made radiant by your transfiguring presence. This extraordinary quote inspires me as a catechist. 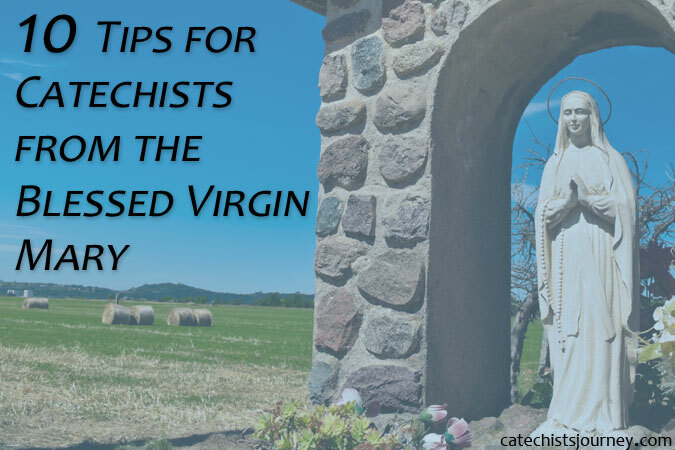 There is no better example for catechists than the Blessed Virgin Mary. Her confidence, generosity of spirit, joy, and fearlessness are a model for catechists to follow. I had scant idea of what I was getting myself into when I volunteered to be a catechist. It seemed like a straightforward and simple task. I had always volunteered at my son’s schools, so I was comfortable with the age group and familiar with teaching. There was a teacher’s book that would tell me exactly what to do, so I did not need to worry about planning or creating a lesson. Little did I know. While I started out with confidence, I quickly realized that this was a false confidence born of underestimating what was really required of me as a catechist. Mary’s confidence, on the other hand, came from her complete trust in God in the face of the unknown. I now aspire to imitate Mary’s confidence. Before each class, I pray that that the Lord will use me for his purposes with my students that week and that my efforts will bring greater glory to him. This prayer helps me place my trust in God, and that trust leads me to be a confident catechist. We are called to imitate Mary’s generosity of spirit, which can be seen in the way she offered her entire self to God. As a catechist, I want to offer my best efforts to God and inspire the children in my class to know and seek him. 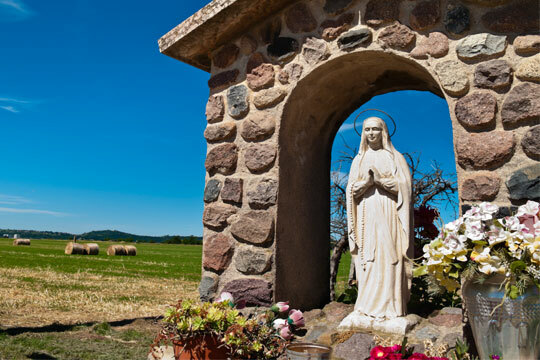 Every now and then I might feel like I could have done more for my students; in those moments, I look to Mary to discover ways I can be more generous in passing on the richness of our Catholic faith to my students. Share this prayer on your Facebook page. Then learn more about the book at LoyolaPress.com. This generosity of spirit helps me be joyful in passing on the faith to my students. Pope Francis begins The Joy of the Gospel by writing, “The joy of the Gospel fills the hearts and lives of all who encounter Jesus.” As catechists, we bring the joy of the Gospel to our students! We want them to have an encounter with Jesus that fills their hearts and lives. I am not teaching my students a biography lesson; I am introducing them to a person. I am called to help children come to know Jesus himself, just as Mary did. My mission is not to transmit information, but joyfully pass on the Gospel to transform hearts. 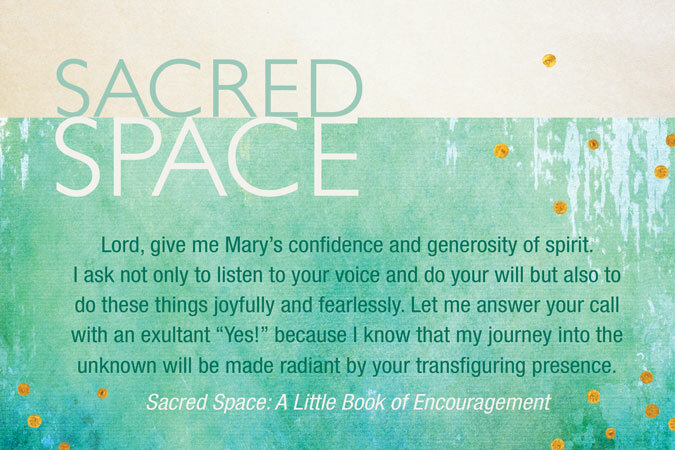 Mary is our clearest model of how to respond to God with a full-throated “Yes.” By following her example, we can be catechists who are confident, generous, joyful, and fearless. How do you approach your classroom with confidence, generosity, joy, and fearlessness? How can you share these qualities with the students in your class? That was a beautiful article one I will hold to. Thank you so much Cindy may Grace and Mercy be with you always. Thank you, Maxine, for your encouragement. Great article, Cindy. As a fellow catechist, I too pray for guidance to inspire my class. No matter what age you are teaching, I think it is so important to let the children know you are enthusiatic about the faith. We as catechist can plant the seeds of faith with God’s help. Lucretia, I think that is my favorite image of being a catechist–planting the seeds of faith. Amen! Beautiful article Cindy. It inspires me to be a better catechist. Thank you for sharing! Thank you for your kind words, Liz. Excellent guidance for how to frame your thinking when beginning to plan your catechism classes. Thanks for the article! Thanks, Andrea, your affirmation. It too me awhile to learn that being a catechist is much different than being a teacher. Wonderful article. Our Lady must be so pleased with you. I hope she is. The further I go in this faith journey of life, the more and more I come to love, trust and rely our Our Blessed Mother. When I invoke a “Mama Mia” it is a prayer. Very inspiring and encouraging. I wish all catechist will understand the difference between being a teacher and a catechist. May our mother Mary continue to pray for us. Please I wish to know about the group WINE you initiated i your parish. I love that idea. Sr. Judith, if you would like to friend me and/or message me on Facebook @Cindy Eimann Coleman I would be delighted to share with you more about WINE and our women’s group.